Scientific Interests: mobile cyber-physical systems, personal mobile assistants, real-time compressed speech signal processing. History. The Sambir branch of TNEU was created by renaming the structural unit of the University - Sambir Faculty of Applied Software. The Sambir Faculty of Applied Software was created on June 24, 1998. 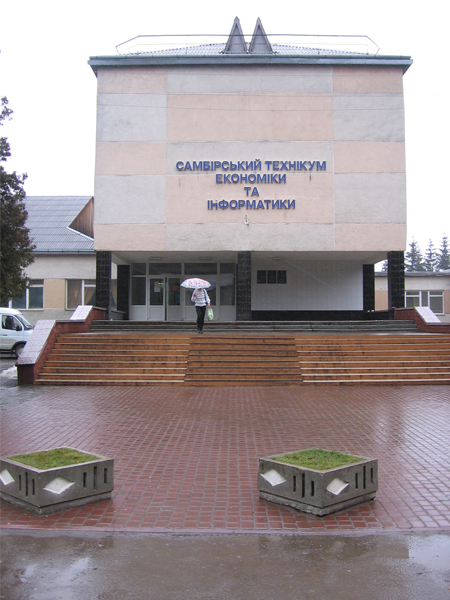 The establishment of the Faculty was facilitated by the close cooperation of the 'Computer Technologies' educational complex, which included the Institute of Computer Information Technologies of the Ternopil Academy of National Economy (now Ternopil National Economic University) and the Sambir Technical College of Computer Science and Computer Science (now Sambir Technical College economics and computer science). The Sambir branch of TNEU was founded to train specialists in the development and application of computer technology in various subject areas for the western region of Ukraine. The main strategic objective of the branch is to prepare qualified professionals on the modern highly competitive labor market. Logistical and information support. In order to carry out its activities, the branch uses the material and technical basis of the Sibirsk Technical School of Economics and Informatics, which allows organizing the professional training of specialists based on the use of modern information and pedagogical technologies and ensuring the implementation of sectoral standards for higher IT education. To ensure the proper level of training in the Sambir branch there are two computer laboratories that are integrated into the local network and have access to the Internet. Also, students of the faculty have the opportunity to work in the computer classes of the educational and computer center of the college. The flexible schedule of the work of the center allows students to master academic disciplines not only during the exam sessions, but also during the inter-sessional period. During the exam sessions all students will be provided with a hostel if necessary. Also, the students of the branch have a specialized library, dining room and a cozy cafe. Since May 2011, the branch participates in the Microsoft Developer Network Academic Alliance (MSDN AA), a Microsoft Developer Association. Participation in this program allows you to install Microsoft Licensing Software free of charge on all computers affiliated with the branch, as well as on the home computers of the students. Collaboration with Base Group Labs, a TNEU partner and developer of free software, provides the Deductor software platform for in-depth analysis and data consolidation, simulation and visualization of simulation results. 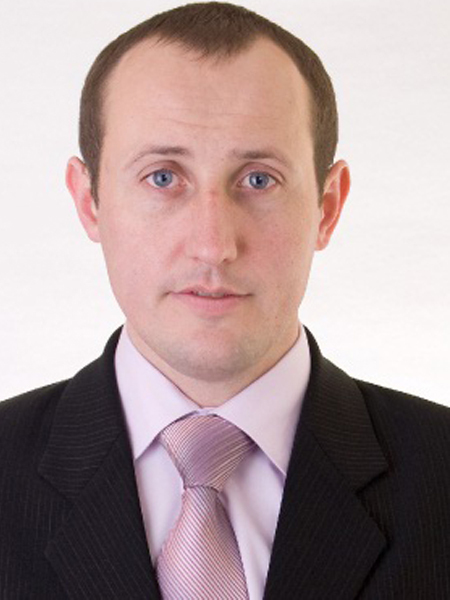 The first dean of the faculty was Associate Professor of the Department of Information and Computing Systems and Management of the Ternopil Academy of National Economy (now TNEU), Ph.D. Andrii Karachka. The first students of the newly established faculty were the 35 graduates of the Sambir State Technical College of Informatics and Computer Engineering, who continued their studies at the Academy by the programme 0501 "Economics and Business" in the specialty 7.050102 "Economic Cybernetics". The first graduation ceremony of specialists in Economic Cybernetics was held in 2002. 35 students received honors diplomas. Since 2005 - the first students in the field of "Software Engineering". Under the leadership of Karachka (1998 - 2008), the educational programs "Economic Cybernetics" and "Software engineering" were licensed, the structure of the training unit was formed, 2 computer laboratories were equipped with specialized furniture and modern computers, the the technical literary fund of the faculty was formed at the library, Department of Computer Science and Department of Economic Cybernetics and Informatics of TNEU were created. November 17, 2008, Candidate of Technical Sciences, Associate Professor of the Department of Intelligent Computing Systems and Control, Oleh Adamiv was appointed Dean of the Faculty. The history of the faculty as a separate structural subdivision of TNEU starts in 2009. February 20, 2009 Sambir Faculty of Applied Software celebrated the 10th anniversary of its existence. In August 2010, a the Faculty established branches of the TNEU Departments of Computer Science, Computer Engineering, Economic Cybernetics and Informatics. During the time of Adamiv's leadership (2008-2011), accreditation was carried out in the areas of "Software Engineering" and "Economic Cybernetics" training, the concept of the faculty development was developed, and the first class of masters in software engineering graduated. February 9, 2011 Associate Professor of the Department of Computer Science of TNEU, Ph.D. R. Shevchuk was appointed acting dean of the Sambir Faculty of Applied Software.